Raspberry pi Jam Camer. 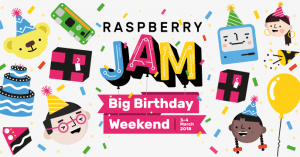 On Saturday the 3rd March, my friends and I celebrated for the first time in central Africa, the Raspberry pi Jam. This was at the occasion of Raspberry pi's 6th birthday. The event took place at Nsimeyong in Yaoundé and started at 9am prompt.